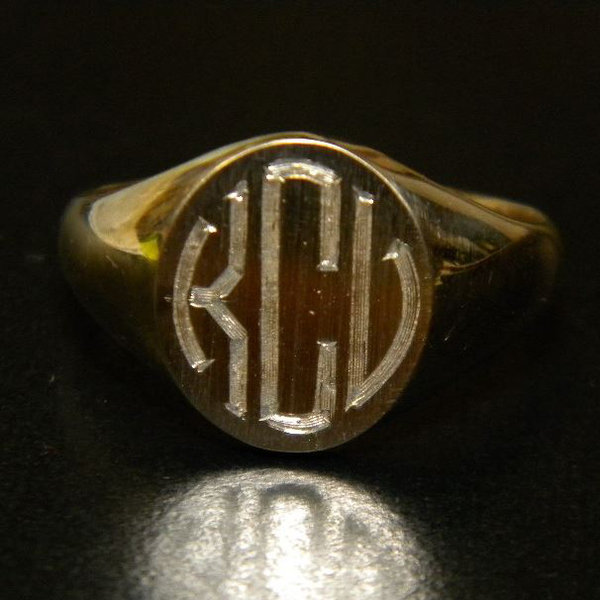 This is a traditional signet ring completely hand engraved producing deeper and longer lasting lines. Look at the detail! I sent the hand engraver a picture of the style of font and he made it perfectly fit into the area. Check out the individual lines. That's a steady hand! Take a look at our Custom Design Gallery for more examples of Hand Engraving.